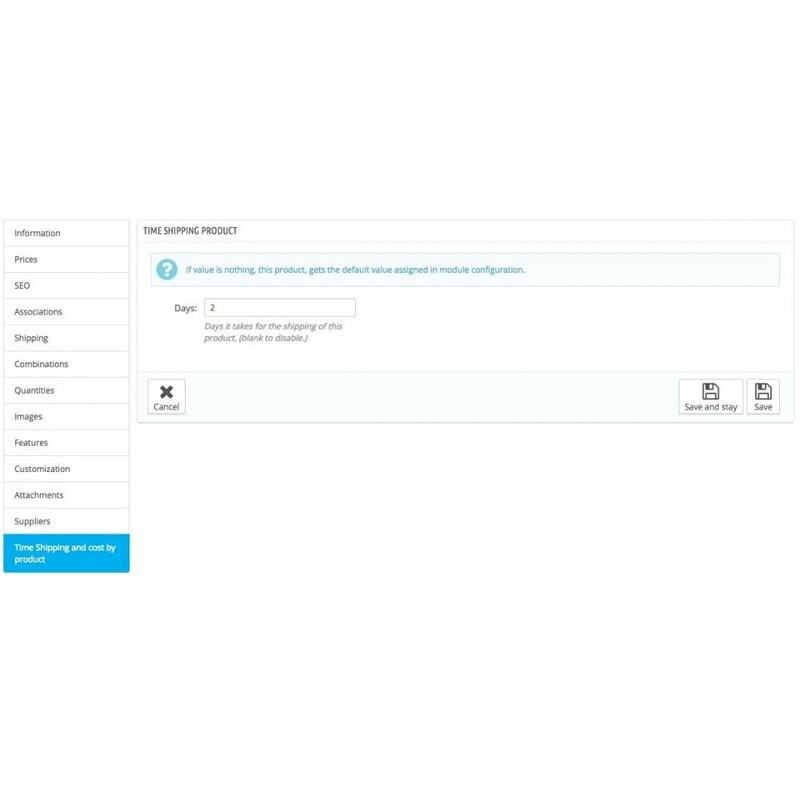 The module increases conversions thanks to the information provided to customers. • You can specify the time of collection of the carrier in our store. • You can define a delivery time for all products. 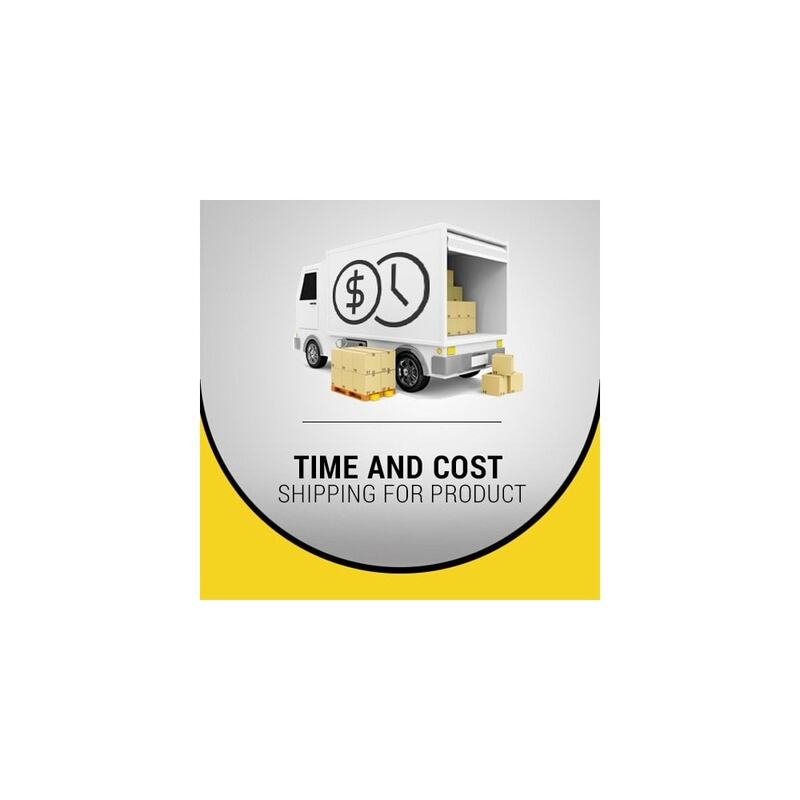 • You can define individual shipping time for each product. • You can define whether there Saturday deliveries. • You can mark holidays of the year, so the client can not know when shipments are made. 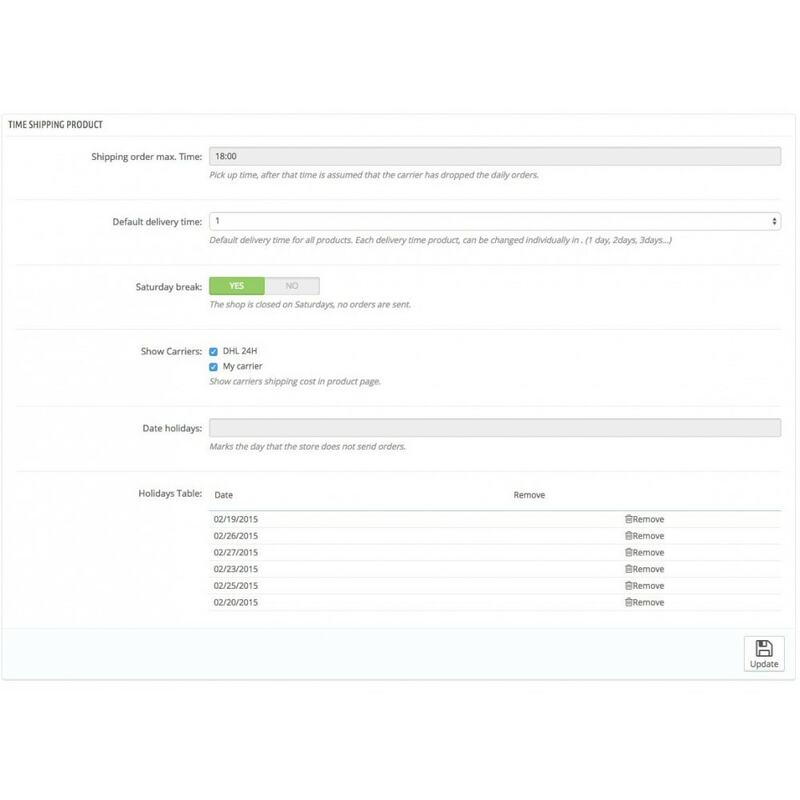 • You can select carriers who want to be displayed to inform the customer shipping cost. • The module displays the information in the data sheet. It is just for information. Moduł typu “must-have”. Informuj swoich klientów o czasie dostawy na stronie produktu, w trakcie zamówienia a nawet w wiadomości email.